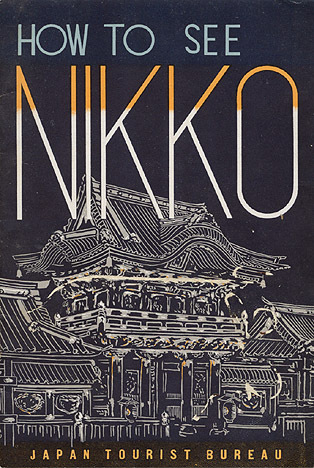 Travel brochure "How to See Nikko," 1936. Published by the "Japan Tourist Bureau." Front cover.